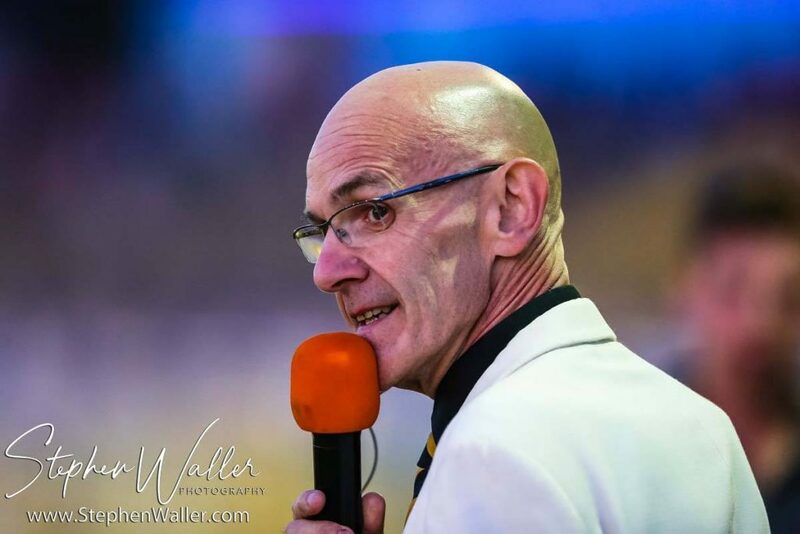 Kevin Long will be back as race night presenter at Foxhall after having a year away due to work commitments. Long is back in the hot seat now and was delighted to be asked back to do the role by Chris Louis. “Last year I spoke to Chris as I had changed job and it wasn’t going to be possible to commit to doing it each week because of the hours required for the business,” said Long. “I took a step back and ironically did manage to get up there most weeks and do my work for Re-Run Productions and deputised on a couple of occasions for Wayne (Bavin) which was good fun. Long has been a regular on the terraces at Foxhall since 1972 and explained how he fell in love with the Witches. Long explained how he became presenter at Foxhall in the historic 1998 season and says the role of presenter is a very important one on race nights. “It is an important role. I haven’t had broadcasting history, I am a fan with a microphone. How it all originally happened is that we were away with the Supporters Club and staying in Manchester and the team were staying in the same hotel. We were talking with JL (John Louis) at the bar about the presentation at the time that we felt was lacking and I said I could do a better job than that, I threw that in. “He said he couldn’t do anything that year, but that he would look at it, that was in 1997. At the end of that year the Supporters Club invited me to present the End of Season Awards. Mike (Western), John and Magda (Louis) were in attendance watching me closely with a view to maybe asking me to do the job and at the end of that night they asked me to be the presenter for the 1998 season and we all know how that went! It was a baptism of fire. The presenter is looking forward to having more continuity in the fixture list in 2019 and hopes the move up in division will benefit the club.